Evening times available, rates start at $8 per child, please Monday through Thursday before 3 pm for details. 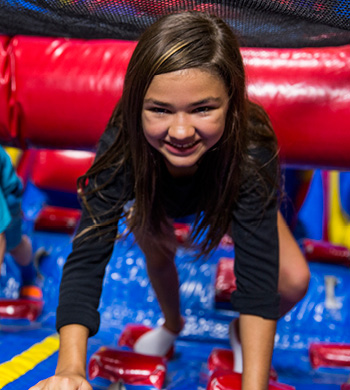 Have your next field trip at Pump It Up and turn it into a GIANT success! Jump into our 2 arenas filled with 6 HUGE Inflatables and our staff to make for a FUN and EASY experience! Our field trips include either 2 hours or 1.5 hours of supervised playtime in our giant arenas, all in a private, safe, clean, climate controlled environment that never gets rained out! Your event can be customized to include lunch, snacks and our, always popular, GLOW upgrade! The party room or additional time in the arena's may be added depending on availability to any of these packages! Pump It Up makes organizing your group event fun and easy. We can assist you in creating memorable customized events for groups of ALL sizes. If you need to raise money consider Pump It Up for your next FUNdraiser. Pump It Up can also provide fully integrated web marketing and invitations. Pump It Up can do it all for you with our eHosting service. All that you have to do is "get the word out" with flyers, posters and/or emails. Pump It Up can even provide you with artwork for your event. 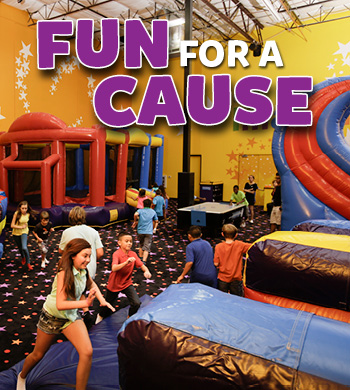 Call (763) 553-0340 to book your FUNdraiser at Pump It Up.